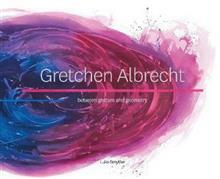 Gretchen Albrecht CNZM is one of New Zealand's most influential painters. Over the course of her long career, her work has continued to surprise and delight and her paintings feature in many important collections both in New Zealand and overseas. This comprehensive survey of her much-admired work reveals a painter steeped in art history, drawing freely from a range of influences to create vivid, intellectually persuasive and deeply affecting work, and determined to push her work in new directions. With a text by leading art writer Luke Smythe, plus a preface by Mary Kisler, this magnificent book both interrogates Albrecht's work and celebrates her accomplishments. Dr Luke Smythe is a lecturer in Art History, Art Theory and Curatorship in the Faculty of Art, Design and Architecture at Monash University, Melbourne, Australia. He has previously taught Art History at the University of Otago and Wesleyan University. From 2013-2014, he worked as a Curatorial Fellow in Postwar Art at the Pinakothek der Moderne in Munich. His historical specialty is modern art from the postwar period until today, with at present a particular focus on the global evolution of modernism since the Second World War, identity art and its constraints, and the passage of analog media into the digital era. His articles and essays have appeared in many journals and catalogues, including October, Modernism/modernity, Art Journal (US), and Oxford Art Journal. He has worked on exhibitions at a number of museums and galleries, including the Chinati Foundation, Yale University Art Gallery and the Pinakothek der Moderne in Munich. His work has been supported by the DAAD, the Fulbright Foundation, the Yale Centre for British Art, the Bayerisches Staatsministerium fur Wissenschaft, Forschung und Kunst, and Creative New Zealand.